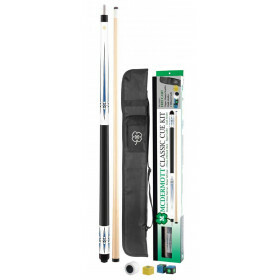 This classic cue and case kit from McDermott packs tremendous value at an incredible price. 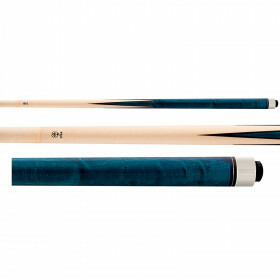 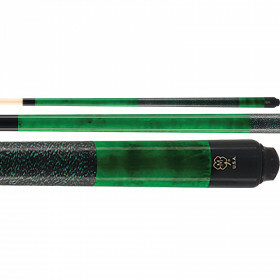 You get a solid maple McDermott 2-piece pool cue with a soft case and accessories to finish off your kit. 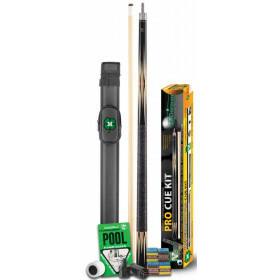 Far and away one of our most popular pool cue kits, this McDermott Classic pool cue kit contains everything you need to take your game to the next level at an incredible price! 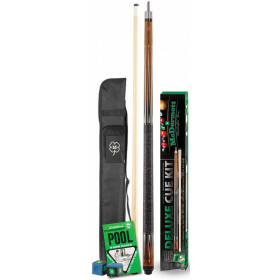 You get a solid, stylish black McDermott pool cue along with a free soft case and accessories to start you out. 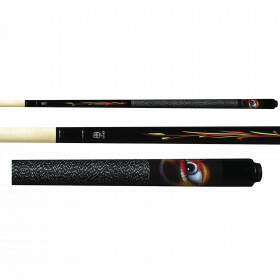 Stop playing with house cues and start hitting with a consistent stick and start winning more games!